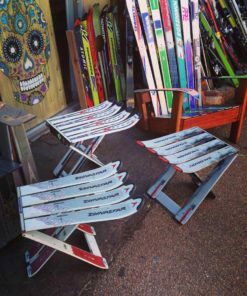 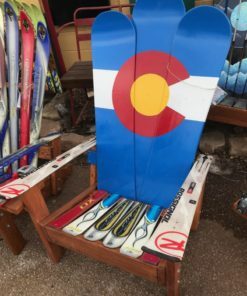 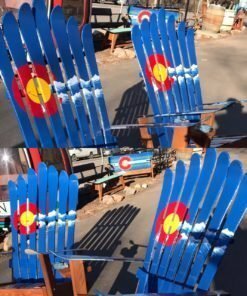 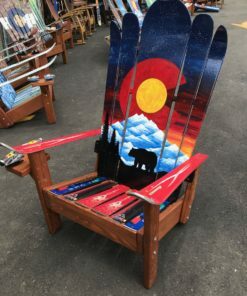 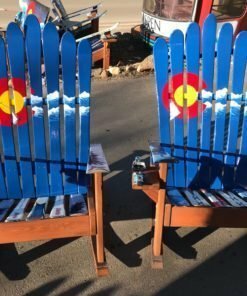 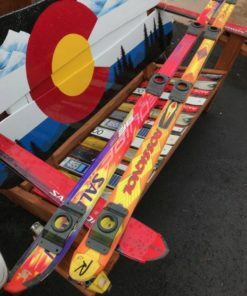 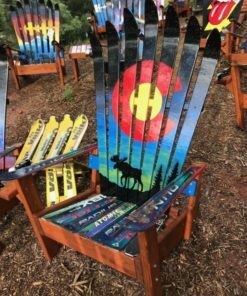 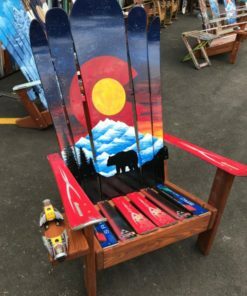 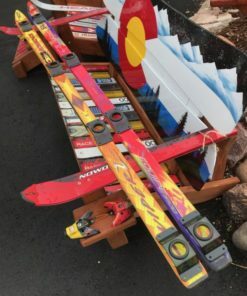 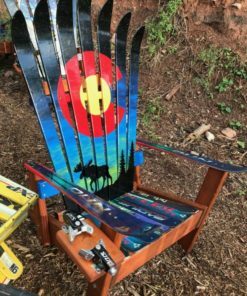 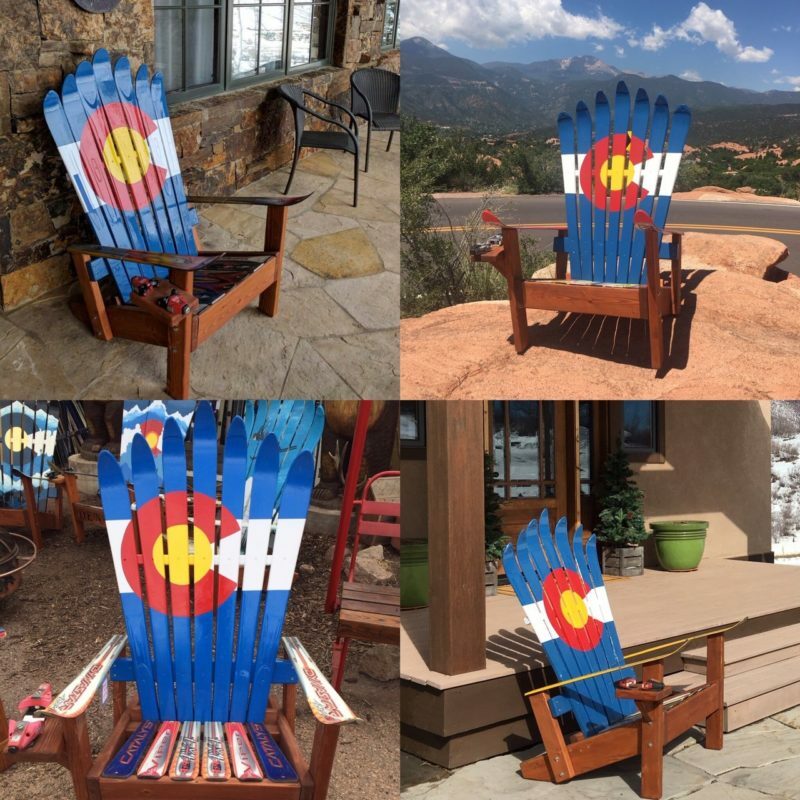 Set of 4 Colorado Flag Adirondack Ski Chairs. 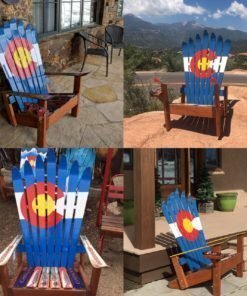 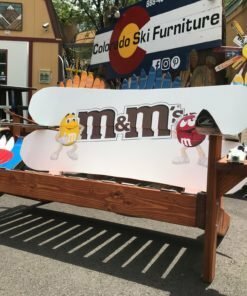 It’s the perfect outdoor chair for all Colorado lovers. 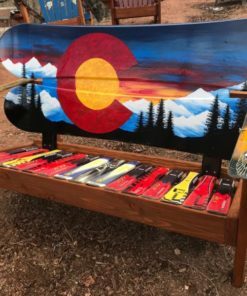 The Colorado Flag Adirondack chairs are simple yet classic. 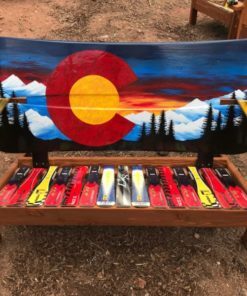 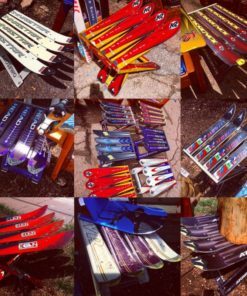 Hand painted, strong, durable, beautiful and totally Coloradical!